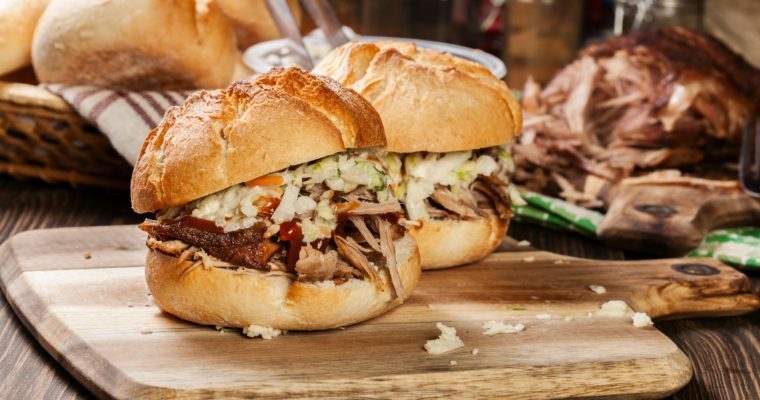 Side dishes for weeknights often seem to be one of the biggest challenges people face when it comes to getting dinner on the table. Often resorting to canned veg or a quick steam during the winter months, I’m so excited when Spring and Summer produces comes into season. 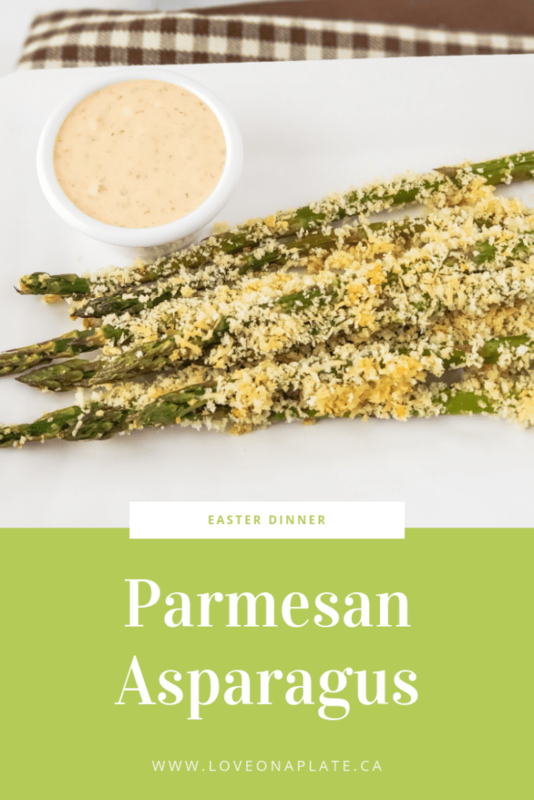 Asparagus is one of the first vegetables to make an appearance and I love to make this easy and delicious Roasted Panko Asparagus. 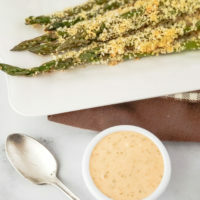 The half homemade Chipotle Aioli, or Lemon, or Garlic makes a nice addition that can be made while the Asparagus roast. 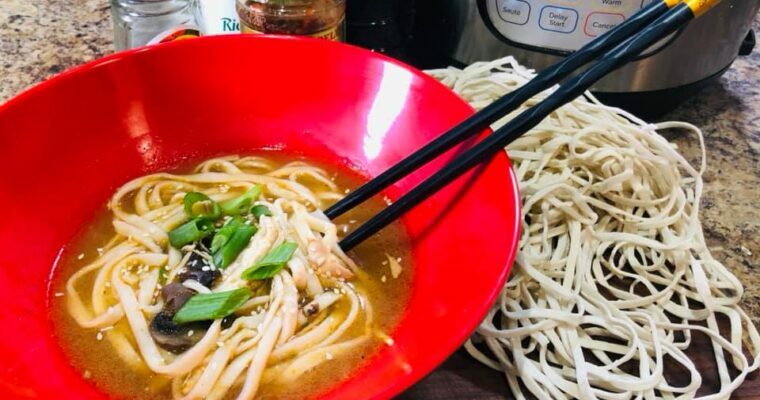 A few simple ingredients come together to make Panko Asaparagus. Wash and cut woody ends off asparagus. 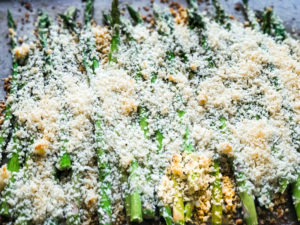 Blend Parmesan cheese and Panko crumbs. Place on cookie sheet. 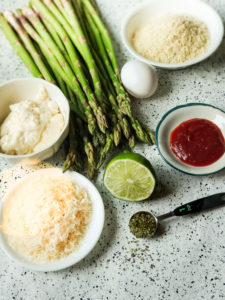 Dip asparagus into egg and then into crumb mixture. 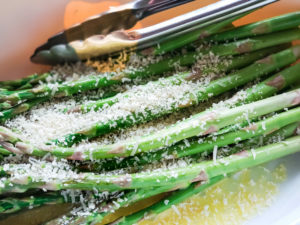 Bake at 350° for 10-15 minutes or until asparagus are tender.